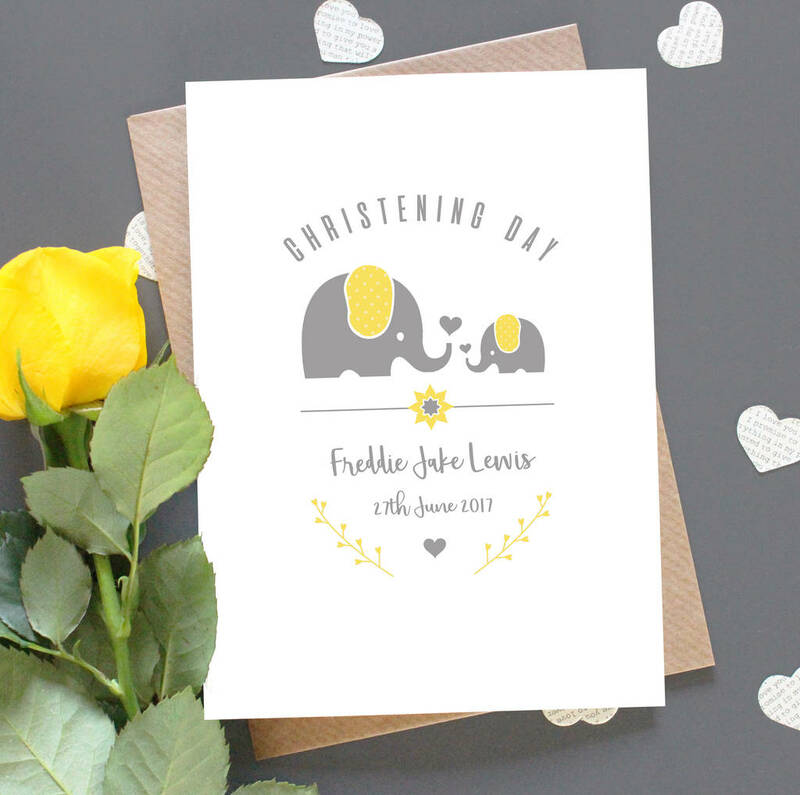 Personalised grey and yellow Christening card. 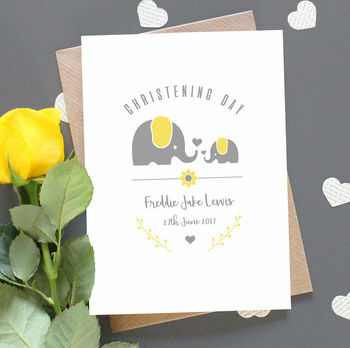 Congratulate them on their special Christening day with this super cute grey and yellow card. Personalise with their name and Christening date to make it truly unique. A beautiful keepsake that will be treasured for years to come. Cards are blank inside for you to write your own personal message. If you have any specific requests please contact us via the 'ask seller a question' button above and we will do our best to help. Printed on 300 gsm fine art quality card complete with gorgeous brown craft envelope. Card is blank inside, for you to write your own message. All of our cards are wrapped in clear cello sleeves and are sent in board backed envelopes to ensure they travel safely to you. Designed and printed to order by Precious Little Plum at our workshop in the heart of Sussex. 10 x 15cm (A6) when folded. This product is dispatched to you by Precious Little Plum.